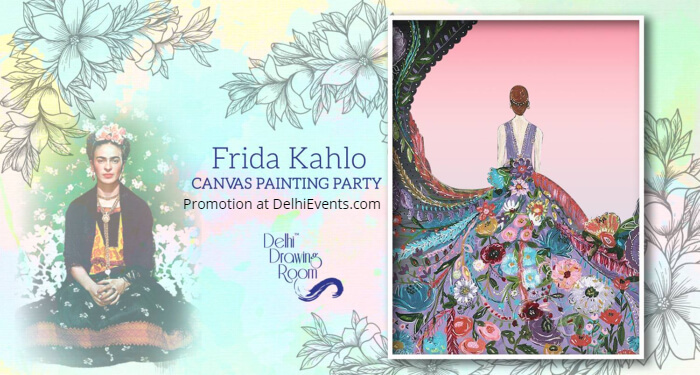 Event Description : Delhi Drawing Room invites you to explore your creativity and express yourself through art, at the Frida Kahlo- Canvas Painting Party. Frida Kahlo de Rivera was a Mexican artist who painted many portraits, self-portraits, and works inspired by the nature and artifacts of Mexico. You will be taken from a blank canvas to your visual expression masterpiece in 2 hours. An artist will be present at all times to guide you through the workshop. We take care of all the art materials!